Heavy Duty Hot Dipped galvanized for superior corrosion resistance ¼” gauge steel. Accepts ½” fasteners, bolt patterns match form piece to piece. FH-03A Corner Bracket, 4” x 4” x 7” x ¼ ”. Provides strength at joists and corners. FH-05 Small Corner Bracket, 3” x 3” x 5” x ¼”. FH-07 Heavy Duty Corner Post Bracket. For supporting landings. Accepts 1 7/8” pipe. FH-13 T-Connector Hinge, 5½” x 5½”. 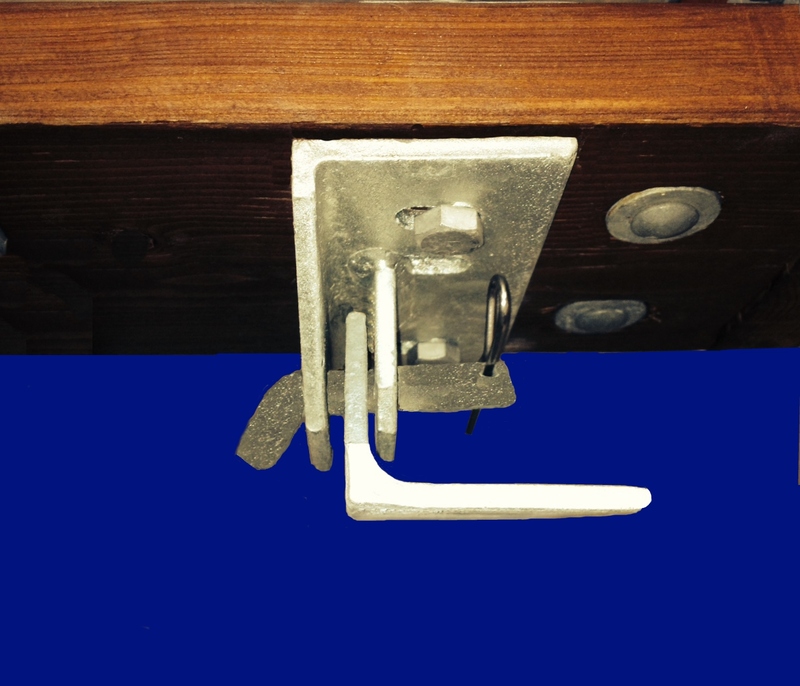 We also carry a selection of Dock Edge+ hardware, and we can fabricate custom hardware to suit your needs.